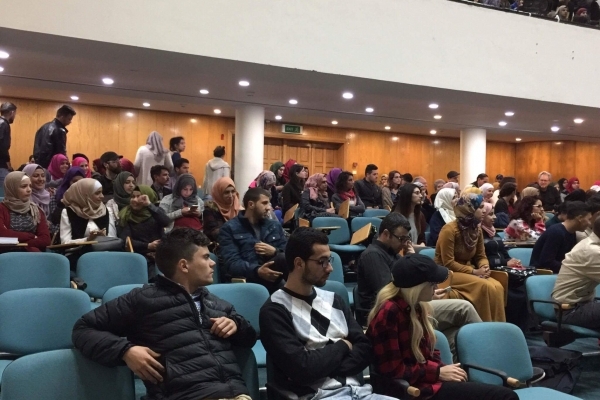 The Freedom Theater of Jenin came to Al-Quds University on the 6th of March to stage Return to Palestine in front of a student audience at the Arabic Poetry Hall on campus. Loosely based on Ghassan Kanafani’s 1969 novel, Return to Haifa portrays a contemporary trip back to the homeland for Jad, a young Palestinian-American man who is at first shocked and puzzled by the checkpoints and gunshots in the birthplace of his parents. 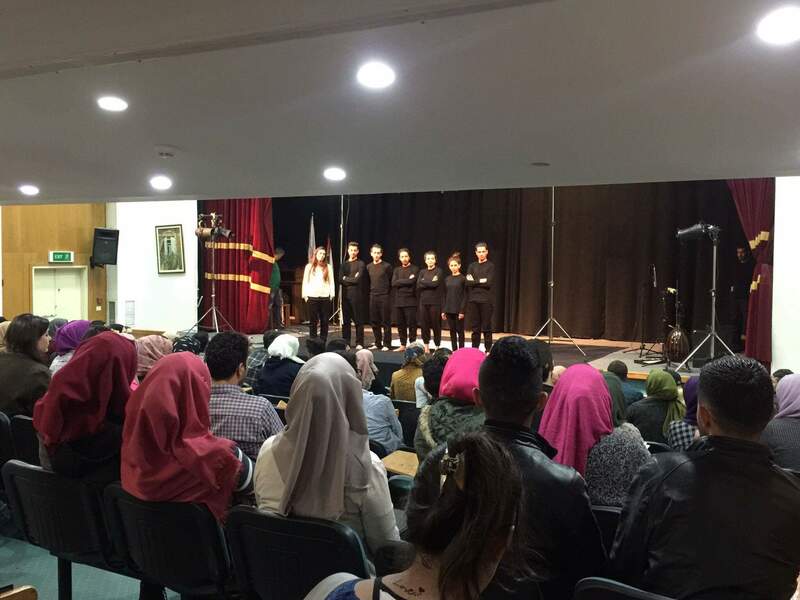 The ensemble cast, in monochrome black costumes under dramatic lighting, elicited an energetic response from the audience making Return to Palestine a memorable and colorful day at Al-Quds University. 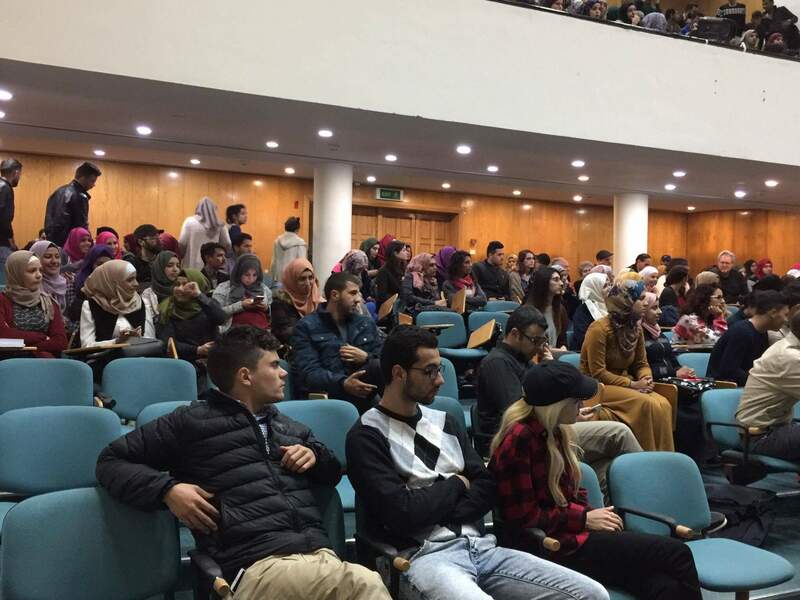 The Freedom Theater draws on talent from several cities including Jenin, Hebron and Qalqilya. 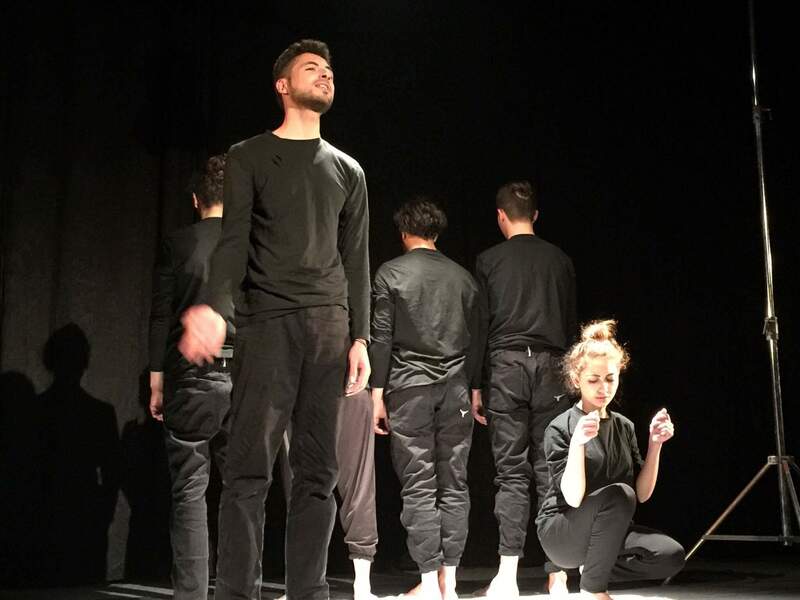 International members and volunteers bring their skills and talent to the company’s productions. 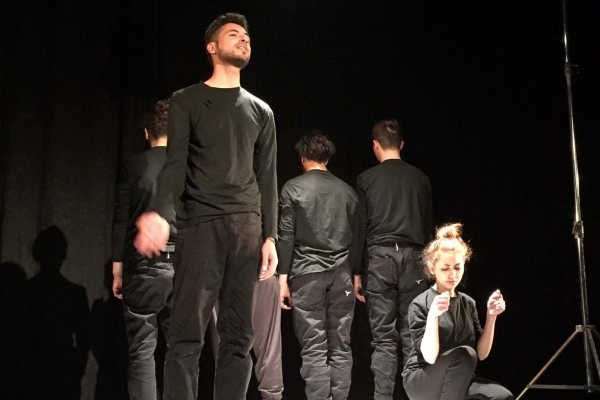 The Freedom Theater aims to use theater to enhance the role of art in changing society. 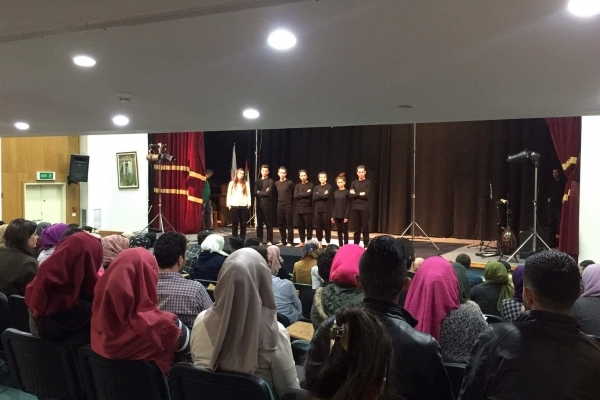 Return to Palestine will be on tour through April in different locations in the West Bank including the Arab American University in Jenin, with final performances at Freedom Theater’s own venue in Jenin.